There is only one place where investors can trade with cryptocurrencies. In fact, there is not only one but dozens of digital exchanges out there specifically trading cryptocurrencies. They all offer bitcoin and similar trade in options along with fees for using them. So choosing the right one will mostly depend on the investor’s own trade goals. Simply put, these exchanges operates in a similar way to any given market. With the main difference that in order to start operating in that market, we have to deposit a certain amount of money in our account, but in this case the money we deposit should be in a currency or currencies that the exchange supports. The person depositing the sum of money would, then, on his own account, use that currency to engage in trading – buying and selling orders – with thousands of other traders on the market who are also registered on the exchange. After a profit is made, the user withdraws his money and comes back to trade another day. As a beginning point, the easiest and most popular exchange is Coinbase. Offering a limited amount of assets -currently only Bitcoin, Bitcoin Cash, Ethereum, Ethereum Classic and Litecoin are listed- it serves more than 10 million investors all around the world in 32 countries. Starting from Coinbase is a good option. As an easy to use platform and after getting our first bitcoins, we can then expand to other smaller tokens. It is priority to remember that in order to trade crypto/crypto we will have to do an exchange from Bitcoin to another cryptocurrency. Of course, physical currencies as USD or EUR can (and it will be required to) be use to obtain one of the precious 16,000,000 Bitcoins that there are out there. Although once we get our hands into some bitcoins, we will be able to trade with them instead. Many pro investors use this strategy to expand their portfolio: using bitcoin as dollar-like currency and then keep investing any profit out of it in potentially growing altcoins. Coinbase is the world’s largest Bitcoin broker, available in the United States, UK, Canada, Singapore, and most of Europe. As easy to use as customers can buy bitcoin with a connected bank account, credit/debit card, SEPA transfer, Interac Online, iDEAL, and many more payment methods depending on location. Coinmama is a bitcoin broker that specializes in selling bitcoins for credit card to nearly anyone in the world. 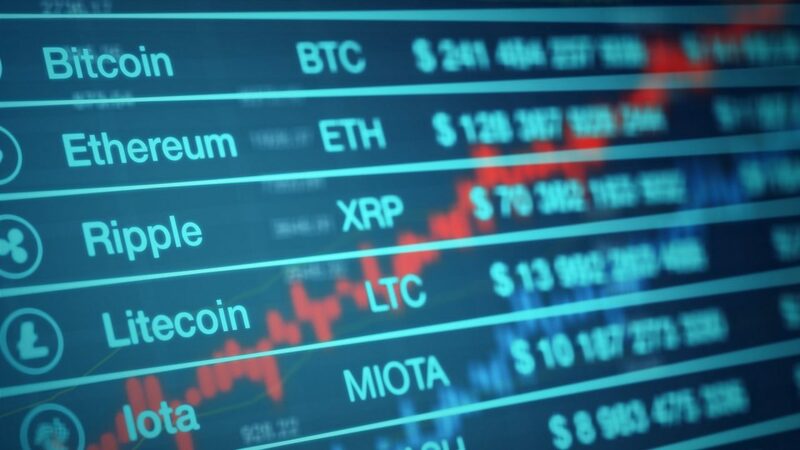 The exchange offers the usual Bitcoin and Ethereum, but also some interesting and quickly growing altcoins such as Ripple, Litecoin, Cardano, Qtum and Ethereum Classic. CEX.IO allows for the buying of bitcoins for low fees via credit card. Customers can also purchase for free with bank transfers. CEX.io is available for use in most countries and with a good selection of altcoins such as Ripple, Stellar, Dash and Zcash among others. It also allows deposit in USD, GBP, EUR and RUB. itBit is a global Bitcoin exchange licensed with the New York State Department of Financial Services. It also operates a global OTC trading desk. It recently added PAX to their available tokens, making a 1:1 guaranteed exchange when buying with USD, a rather interesting alternative to usual cryptocurrencies. Changelly is a Bitcoin and altcoin exchange. Users can shift between coins without depositing coins to the exchange. 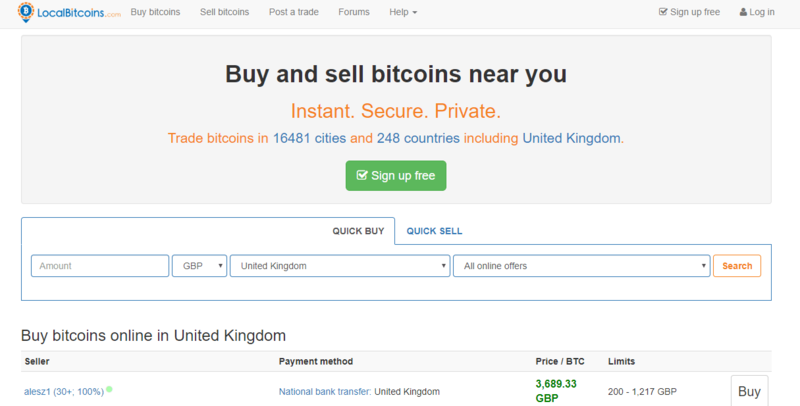 BitQuick is a Bitcoin exchange that lets customers buy bitcoins with cash via cash deposit. It is only available for customers and investors in the USA. Coinhouse, based in Paris, France, lets users buy bitcoin with a 3D secure credit card or debit card, or with Neosurf prepaid cards. Coinhouse has expanded and now accept dozens of altcoins, despite the most common ones. Some interesting ones are Stellar, Aragon, Ox, Golem, Basic Attention Token or Omise Go. BitPanda is a Bitcoin broker based in Austria. 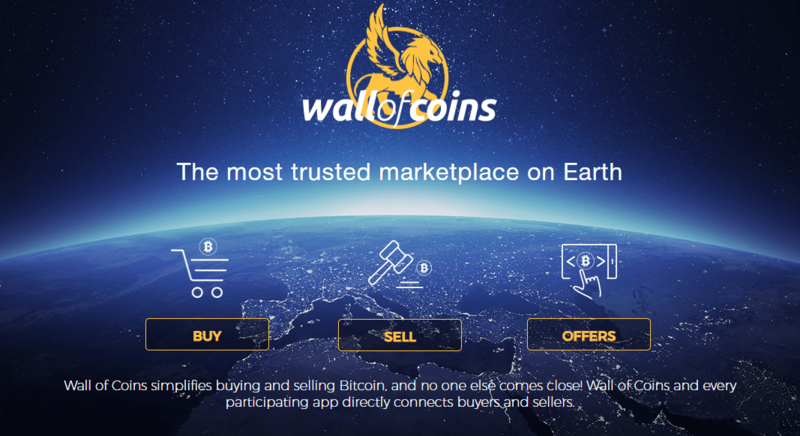 It offers a wide range of payment methods and has good prices in a good selection of main coins and altcoins. They now accept Swiss Francs as payment method. An interesting addition as some of the Alpine country’s banks has embraced cryptocurrency exchanges. Bitit, based in Paris, France, lets users buy Bitcoins online with a 3D secure credit card or debit card, and with cash using Neosurf, Flexepin and Cashlib prepaid vouchers. Gemini is a Bitcoin exchange run by the Winklevoss twins. It’s a licensed Bitcoin exchange and operates in 42 US states and many other countries including the UK, Singapur, South Korea or Japan, among others. Kraken is a global Bitcoin exchange and supports European residents along with residents of the United States, Canada, and Japan. Kraken offers excellent liquidity as its average daily volume is around 10-12 million euros. So if you want to buy large amounts of bitcoins, Kraken is a good option. Bitstamp is one of the longer running Bitcoin exchanges. It has been around since 2011 and is a licensed exchange with the Luxembourg’s Ministry of Finance. It is a good option for traders and those buying large amounts of bitcoins. Bitfinex is a popular exchange because in terms of USD trading volume it has the most liquidity. It currently owns about a 10% share of the USD trading market. Binance is a chinese crypto exchange. One of the largest of the worlds in terms of volume and a referent in the Asian region. It is better designed for professional traders and allows to trade with more than a hundred different tokens with multiple coin support. As of November, it has a BNB market capitalization of $1.3 billion. These exchanges are only few of a much longer list. They all represent a good starting point where to begin in the crypto market. Some are more focused on altcoins whereas larger profits can be made. Nonetheless, it is always a good strategy to start from Bitcoin as the crypto-market is still high volatile. Nonetheless, these cryptocurrencies have everything to be considered as de facto coins. They can be used to buy goods and assets in retail sector and others (means of payment) and also seen as an investment opportunity. Going even further, cryptocurrencies and the technology behind them, the blockchain, has been seen as a way of fund rising, called ICOs, for small companies and start-ups with the possibility of creation of new coins for that end. And every exchange is at the very centre of it all.